Do you want to have a romantic but more economic wedding? 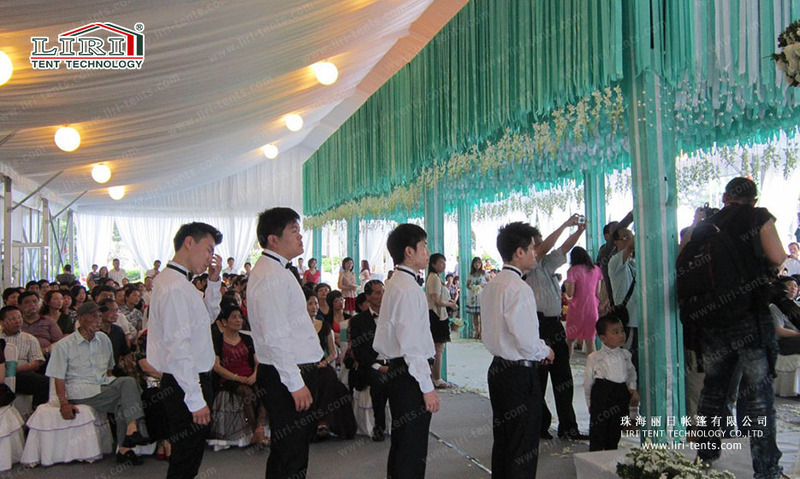 If you do, LIRI extraordinary wedding tent with all kinds of decorations can help you achieve it, and you will have a nice and unforgettable wedding. Blue sky, fresh air, green tree and wedding tent with roof lining and beautiful decorations, you will see that everything just look so perfect. 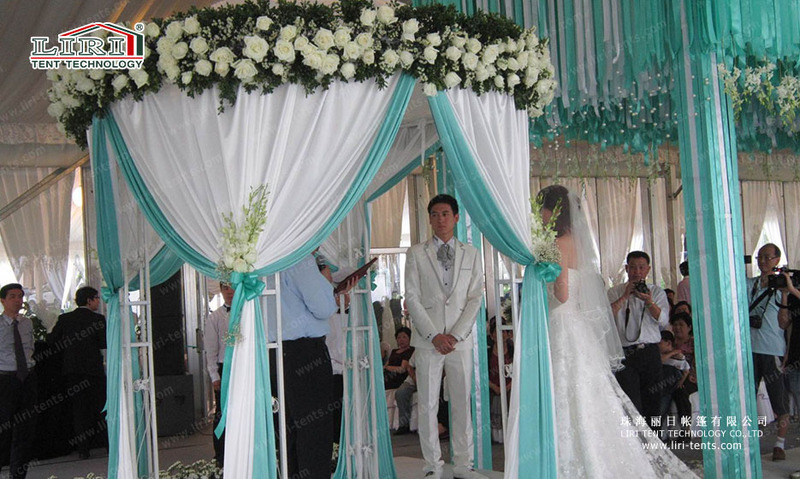 You and your families and friends will have a nice day enjoying your wedding party under the wedding tent. Surely, our tents are easy to set up and dismantle, it could save a lot of time and labor cost compare with the concrete building structure. Also, it is movable, which is very convenient for all kinds of events. Besides, the tent size is various, from 3m to 60m width, the length is unlimited with its modular design. For example, if you buy a 25m x 50m wedding tent that can accommodate 1000 people capacity. But there only 500 people have come to your wedding party, then you can set up the tent with only 6 bays, which area is 25m x 30m. It won’t cause any waste, out tents, are very flexible. By the way, all kinds of optional accessories are available for the wedding tent. 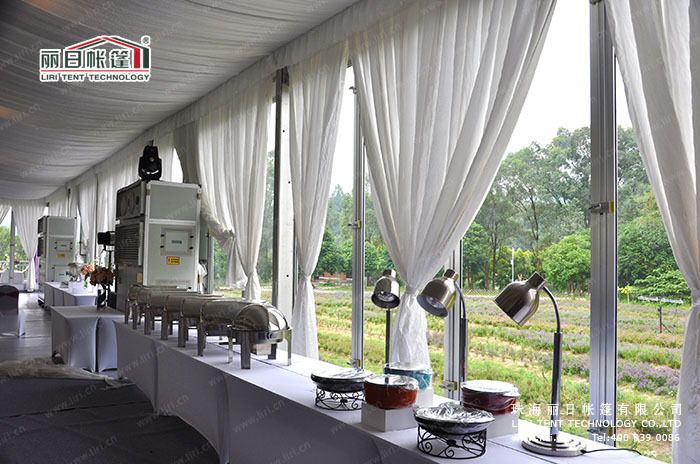 Such as pleated roof lining, curtain decoration, glass wall, ABS wall, double and single glass door, VIP flooring system, banquet table, chair etc. You can select these accessories to decorate your wedding tent according to your ideas. Here in LIRI TENT, no matter what ideas about the wedding in your mind, we can always find the best solution to accomplish it with our wedding tents.